One of the factors which enabled the 371st Air Division to well fulfill its mission, contributing to the victory of “Hanoi – Dien Bien Phu in the air” in 1972, was to successfully carry out the work of political, ideological education, and cultivation of political spirit and “determination to fight and win” for officers and soldiers. That lesson is still of great value today. The 371st Air Division, whose antecedent was Air Command under Air Defence – Air Force, was founded on 24 March 1967. Right after its inception, within almost one month’s operation, the division fought twelve battles and shot down fourteen enemy aircraft, building up Vietnam’s People Air Force’s tradition of winning victory at the first engagement. The division had a special honour to welcome Uncle Ho to their unit. On this occasion, he recommended that our ancestors had recorded glorious feats of arms on rivers and at sea such as Bach Dang and Ham Tu, etc., and on land, including Chi Lang, Van Kiep, Dong Da, and so forth. Today, we had to successfully open a front in the air. That responsibility, first and foremost, rested with you… In the war of resistance against America, despite its fledgling forces, limited strength, and less modern equipment than the enemy’s, given its employment of “overmatching a small force against a bigger one,” the division worked out many excellent, effective combat methods in the air, at sea and on land, both in the daytime and at night-time; made thousands of sorties; participated in hundreds of battles; and downed over 300 aircraft of various kinds, including the B-52 Stratofortress. During the 12-day operation in 1972, the division made its contribution to defeating the U.S. strategic airborne raid on Hanoi. This strategic airborne raid was mostly carried out by B-52 strategic bombers with the aim of destroying Hanoi, Hai Phong and their adjacent provinces. On the basis of forecasting the enemy’s plots and trickery, under the leadership of the Central Military Commission (CMC) and the Ministry of National Defence, first and foremost the Air Defence – Air Force Party Executive Committee and Command, the division closely cooperated with other air defence forces, overcame every difficulty and hardship, fought bravely, committed its forces to the interdiction of the enemy from afar, annihilated many gaggles of American warplanes, and defeated many waves of raid, broke formations of planes and command and control, reduced jamming intensity, thereby creating favourable conditions for our missiles to destroy the enemy. In this campaign alone, the division shot down seven aircraft, including two B-52 bombers, contributing to making a landslide victory – “Hanoi – Dien Bien Phu in the air.” The campaign left the division a great deal of precious experience in fostering the political, spiritual factor, particularly the delivery of political, ideological education to soldiers. Prior to American large-scale raid (in 1972), to establish the soldiers’ will and resolve of “daring to fight, determination to fight and win,” the division had instructed its affiliates to step up political, ideological education; thoroughly grasp situations and their assigned missions; have a thorough understanding of the enemy’s plots and trickery; and correctly execute the guiding thought and tradition: “attack resolutely, unite and coordinate, collectively achieve feats.” Those activities helped awaken patriotism, hatred towards the enemy, and national tradition of fighting against foreign aggressors; and foster spirit and faith in the victory among officers and soldiers. The political education was conducted in extremely difficult conditions, under the enemy fire, by various means, at any time, and anywhere so as to propagandize and educate officers, pilots and technicians, ensuring their thorough understanding of missions and spirit of daring to fight, determination to fight and determination to win in each battle. Prior to each sortie, commanders at various levels assigned each officer and pilot concrete tasks to coordinate operations, build up their resolve, instruct actions, and ensure combat readiness of both humans and aircraft at short notice. The party executive committees and commanders at all levels attached constant importance to fostering examples of “good people, good deeds” and officers and pilots who were steadfast, courageous, ingenious, creative, and inflexible in coping with every situation in the air and on land, and dared to take risks to ensure safe, successful sorties. At the same time, they also sought to bring into full play the spirit of self-reliance, resilience and creativeness of officers, pilots and soldiers in training and technical renovation with a view to cultivating their combat skills, perfecting their techniques and tactics, and promoting their mastery of weapons, equipment and technical facilities, ensuring victory right at the first battle and sortie. Given high combat spirit, units effectively carried out the movements of “shooting down enemy aircraft once our planes scrambled” and “good command, correct navigation, good avionics, signals and radars”; enhanced abilities to take command of aircraft, weapons, equipment, and facilities; and took initiative in perceiving situations to be flexible in dealing with situations in the air and on land. The division’s officers and pilots used to scrutinize to work out appropriate, highly efficient combat methods while ensuring safety and security of airfields once the enemy changed its tactics and employed new trickery. After each sortie and situation in the air and on land, companies and squadrons opportunely drew experience and made political, ideological education able to unleash its potential and close to combat realities. Therefore, in spite of facing difficulty, challenges and fierce combat situations, the division’s officers, pilots and soldiers spared no sacrifice and effort to fight bravely against the enemy, contributing to building up the historic victory: “Hanoi – Dien Bien Phu in the air.” That spirit is still of great value to political education and cultivation of combat spirit, will and resolve among soldiers. Safeguarding the airspace of the Fatherland today gives rise to increasingly high requirements. The Air Defence – Air Force is one of the forces which is built to advance straight to modernity. Accordingly, the division is equipped with many new, modernized aircraft and equipment; and tasked with tough jobs, including maintenance of combat readiness, execution of joint operations, protection of national sovereignty over the territory, waters and islands, and other contingency missions. Applying lessons in political, ideological education, learnt from the battles with U.S. Air Force during its bombardment operations in Northern Vietnam, particularly the twelve-day campaign in December 1972, to the new conditions, Division Party Executive Committee and commanders bring political, ideological education to the forefront of their minds. The division’s officers, pilots and soldiers are well aware that the application of experience on conducting political, ideological education in the twelve-day campaign in December 1972 is a practical deed today. However, this application should be realized in a flexible, creative manner, relevant to missions and particularities of each organization and unit. In addition, it is necessary to enhance propaganda and education to uphold officers and soldiers’ pride in national tradition, Vietnam’s People’s Army (VPA) and their division; and foster their will and resolve to overcome hardship to take command of new, modernized weapons and equipment, and tradition of “ boundless faithfulness, attacking resolutely, uniting and coordinating, collectively achieving feats.” At the same time, it is imperative to give prominence to sense of discipline; deal with manifestations of anxiety, vacillation and lack of belief in our weapons, equipment and combat methods; heighten revolutionary vigilance; clearly comprehend missions, adversaries and partners; and avoid subjectivity, neglect and letting opportunities slip in every situation. The division should well implement the project of “reforming political, ideological education in units in the new period” and the political education plan for various groups of military personnel, ensuring correct content, time and programs; align basic political education with regular education, propaganda, dissemination, and education of legal knowledge for soldiers; deal with manifestations of “contracting” political organizations and officers at all levels to political education. To improve the quality of political, ideological education, organizations and units have studied and taken initiative in reforming content, forms and methods of execution. Regarding content, apart from political education programs set by the higher authorities, units have to select suitable content for each kind of learners by themselves; pay special attention to accelerating the propaganda and good implementation of the Politburo’s Directive 05-CT/TW (Tenure XII) and the CMC’s Standing Committee’s Directive 87-CT/QUTW on stepping up the study and following of Ho Chi Minh’s thought, morality and style, in association with undertaking the campaign“promoting tradition, devoting talent, deserving to be Uncle Ho's soldiers”; and deter and deny expressions of “self-evolution,” “self-transformation,” degradation of political ideologies, morality and lifestyle, opportunism, pragmatism, bribery, corruption, and wastefulness. The division’s affiliates have also taken initiative in combining political education with specialized activities of officers and soldiers; aligning political education with the improved quality of flying activities and ensuring flight safety; strengthening discipline management; preventing the occurrence of serious incidents; and minimizing the violation of ordinary discipline and traffic safety. 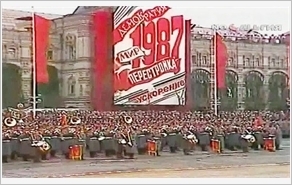 Moreover, the organizations and units have actively reformed the examination and evaluation of political education on a periodic and unscheduled basis, and dealt with manifestations of formalism, irresponsibility, achievement-driven “disease,” reduction of content and time, and omission of elements. Furthermore, the division has concentrated on the establishment of healthy cultural environments, satisfying better the soldiers’ evolving cultural and spiritual demands; and paid attention to officers and soldiers’ family life, creating their faith in organizations, commanders and units. Regarding forms, it is necessary to flexibly employ forms and methods of education in the direction of combining tradition with modernity; diversify forms and methods to ensure copiousness, attraction, effectiveness, practicality, and in conformity with every element; encourage innovative thinking and a practical, reality-driven model for education; invite witnesses to history to tell traditional stories with the aim of passing on their enthusiasm, confidence and missions to future generations. In addition, the division has focused on improving the quality of officers and instructors responsible for political education at all levels. As a result of having no professional political instructors but pluralists, units have proactively selected and built a contingent of instructors from their own officers, who have good knowledge, pedagogical competence and skills, and working experience, and are typical for morality and lifestyle and trusted by everyone. Every year, prior to embarking on political training and education, units usually strengthen the contingents of political officers and instructors at various levels; attach importance to on-premise and in-service training; and use experience obtained in political education in the twelve-day campaign in December 1972 to educate officers currently in charge of political education. Activities, including training, competitive festivals and teaching festivals, help improve the instructors’ comprehensive knowledge, competence, and pedagogical methodologies, enabling them to meet the requirements of political education in units. To make political, ideological education effective, the division has requested its officers and commanders at all levels to set good examples, match words with deeds, keep a close eye on soldiers, “eat, stay and work together” with pilots, be well aware of feelings, sentiments, expectations, and backgrounds of each person, and opportunely address difficulties in units. Political, ideological education represents a lesson learnt from the division’s combat realities. Thus, creative application of this lesson to new conditions and situations serves as an important guarantee to ensure that the division’s officers and soldiers always uphold a firm ideological stand and a strong will and determination, successfully fulfill every mission, and contribute to firmly protecting the airspace of our beloved Fatherland.